Visit TIXEL at IBC 2018, Amsterdam RAI, September 14. to 18., booth 7.D15. New booth number – same place: IBC 2018 gets a new floor plan. However, you will find us at the well known booth location in hall 7. Meet us at NAB in Las Vegas, April 07 to 12. For German public TV coverage of the Olympic Winter Games 2018, editors in Pyeongchang require fast access to the video archive system. Public broadcaster MDR uses TIXstream FX for this purpose (press release). Meet TIXEL at the IBC, Amsterdam RAI, September 15. to 19., booth 7.B01. Meet us in Hannover at the CeBIT or at TIXEL's HQ – March 20. to 24. Meet TIXEL at the IBC, Amsterdam RAI, September 09. to 13., booth 7.B01. Meet us at NAB, LV April 18-21. Meet us in Hannover at the CeBIT or at TIXEL's HQ – March 14. to 18. Meet TIXEL at the IBC, Amsterdam RAI, September 11. to 15., booth 7.B01. TIXEL and PIXSPAN have developed a new software that combines the most efficient lossless image compression with the most efficient WAN file transfer technology. The upcoming release of TIXstream file transfer software will be available with integrated support for lossless image compression for DPX, CINEON, OpenEXR, TIFF, ARRIRAW, Canon Raw, DICOM, and GeoTIFF (press release). Meet with TIXEL at CCW 2014. On November 12th and 13th, 2014 this years CCW SATCON will open its doors at Javits Convention Center in New York City. Stop by TIXEL's booth 641 to learn more about our new products TIXstream Express and TIXway Universal. The IVZ as a service provider for German public broadcaster ARD is currently connecting studios to a central distributed archive located in Berlin and Leipzig. This requires implementation of high-speed remote access to archive content for the individual studios as well as efficient data exchange inside the redundant distributed archive system. 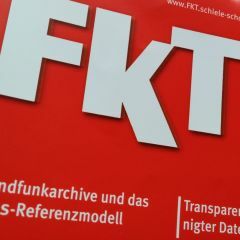 Technical Paper (in German): Zentrale Medienarchive mit Highspeed-Filetransfer in German's FKT Journal 09/2014. TIXEL's most recent novelties at the IBC: Amsterdam RAI, September 12. to 16., booth 8.A97. Monday 15th Sep. 13:00 Andreas Aust (TIXEL), Joerg Houpert (Cube-Tec), "FIMS Implementations: Update"
Monday 15th Sep. 14:30 Andreas Aust (TIXEL), "TIXEL & FIMS"
Sending TV contributions from Brazil to Europe via FTP suffer from poor speed. Instantly set up, TIXway-as-a-Service accelerates these file transfers (case study). As in the past we actively support and sponsor the FIMS standardization activities at NAB 2014. TIXEL’s CTO Andreas Aust is giving a joined presentation with Joerg Houpert from Cube-Tec: A Global Accessible FIMS-based Media QC and Repair Service. Monday, April 7, 4:30pm and Wednesday, April 9, 3:30pm at the FIMS/AMWA/EBU booth N1231. Indian geo data specialist Paradigm exchanges files with customers all around the world – now 12x faster by using FTP via TIXway (technical report). If you are attending this year’s CeBIT in Hannover/Germany (March 10th to 14th) we are looking forward to seeing you. Please contact us for an appointment! Speed is ours: 400 seconds about Data transfer acceleration as the key enabler for cloud and big data at CGC by TIXEL's CEO, Ralf Einhorn (March 14th, 12:30, Hannover, CeBIT Global Conferences, Hall 8). Get your discounted conference pass here. Technical Paper (in German): Transparent beschleunigter Datentransfer, FKT Journal, Fachzeitschrift für Fernsehen, Film und Elektronische Medien, 03/2014, 04/2014: Part 1, Part 2. TIXEL's most recent solutions at this year’s Content & Communications World (CCW), November 13 and 14 at the Jacobs Javits Center in NYC. At booth #761 with our new sales partner Incite Media Solutions (IMS). More about Transparent Acceleration of Time-Critial-File-Based Contribution. 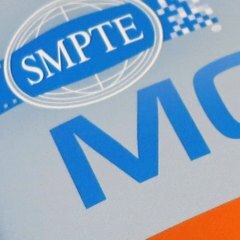 Please find the technical paper in the November/December issue of SMPTE's Motion Imaging Journal. Learn more about TIXEL's most recent solutions at the IBC in Amsterdam, 13. to 17. September, booth 6.A05. If your FTP transfers with partners overseas runs slower than you expect – try TIXway-on-Demand. No extra software. No mess up of your processes and work flows. No investment. No risk. Just fast transfers. Last six months have been an extremely productive period at TIXEL and we extended our product-line for transfer acceleration by a variety of exciting features (NAB in Las Vegas, April 06 – 11). Once again TIXEL has got some amazing news regarding fast data transport, e.g. TIXway Express now also running on Windows. CeBIT in Hannover (05 to 09 March). TIXEL’s CEO Ralf Einhorn is going to present Moving big data around the globe (CGC, Open Stage, Wednesday, 06 March, 12:00 noon). A quick path through the WAN for any application producing data on standard out. TIXway 1.2 comes with an intuitive web based user interface for configuration and license management. The most recent release of TIXstream with many new convenience features is available now. TIXstream 2.9.2 comes with improved usability for the tixcp command line copy tool. TIXEL actively takes part in the FIMS initiative of EBU and AMWA. The framework will provide a flexible approach to service oriented content production. IBC 2010, September 10.-14., booth #7.H03 and at the dimetis booth #4.C50.